John Magoffin’s Lockheed Vega NC12288 soon after its first flight. The Commemorative Air Force’s Airbase Arizona Aviation Museum, located at Falcon Field in Mesa, Arizona has added a unique, fully restored Lockheed Vega to the more than twenty historic aircraft on display in and around its hangar. The Vega in the CAF hangar, built in 1933, is one of the aircraft types which defined the Golden Age of Flight in America during the 1920’s and early 1930’s. It is an improved version of Lockheed’s original 1927 design, featuring a 450hp engine which enabled a cruising speed of 155 mph and a top speed of 165 mph. This may seem slow by modern standards, but the aircraft was a world-beater during its heyday. Several pioneer aviators chose the Vega for their record-setting flights; including Lt.Cdr. Glen Kidston, RN, who set a record time for flying between England and South Africa; Amelia Earhart for her solo trans-Atlantic crossing in 1932; and Wiley Post, who twice circumnavigated the world in one. Not to be outdone, the United States Army Air Corps acquired a couple of Vegas; designating one a Y1C-12 and the other a Y1C-17 due to different fuel tank installations. The slender fuselage could accommodate just six passengers. The Vega on display at the Airbase Arizona Aviation Museum is on loan from John Magoffin. It is the sole survivor of just nine examples built by the Detroit Aircraft Corporation as part of the DL-1 series (for “Detroit Lockheed”). Interestingly, the DL-1 used an aluminum fuselage design, while the original California-built Lockheed Vegas had plywood-skinned fuselages. The Morrell meat packing company in Ottumwa, Iowa bought the aircraft when new, naming it “Morrell’s Pride”. Morrell eventually sold the Vega, which went on to serve in a pair of airlines, and even a construction company in Alaska during the Alcan Highway project. She retired from commercial service to the Air Power Museum in Ottumwa, Iowa, but underwent restoration to flight in the early 1960s and again in 1983. 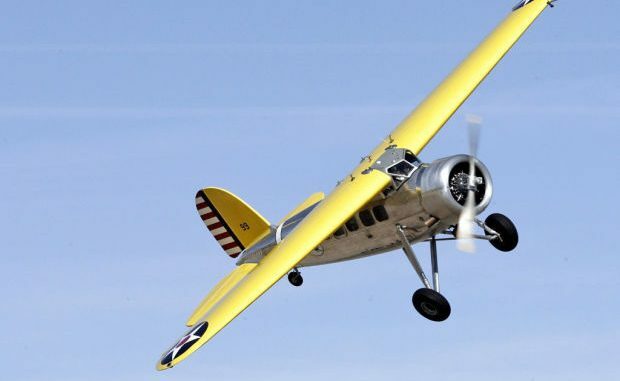 A new owner in Oklahoma acquired her from the Antique Airplane Association founder Robert Taylor, but had three separate accidents in the Vega, which left it badly damaged. John Magoffin acquired her as a tattered fuselage with a broken wing and shattered tail. 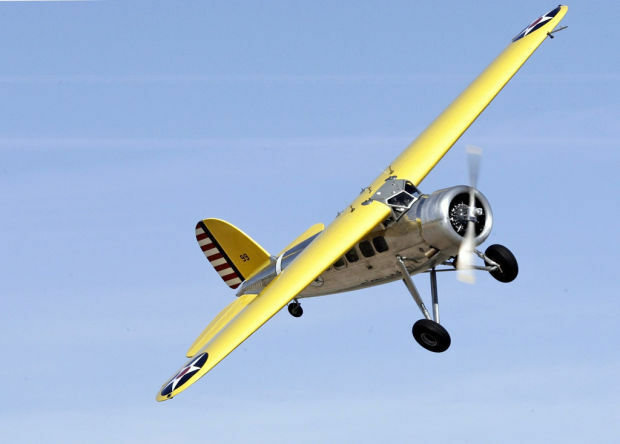 He assigned Rick Barter at Skywords Aviation in Marana, Arizona to restore her, and eighteen years of hard work later, she flew again on December 17, 2013, the 110th anniversary of the Wright Brothers’ first flight. Although his Vega never saw military service, Magoffin has had her painted to represent an Army Air Corps Y1C-12 from the 1930’s. Copyright (c) Francois Bergeon 2013 – Published with permission. 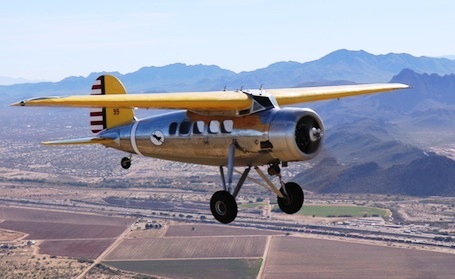 Magoffin’s Vega will be on display at Airbase Arizona through mid-September, 2014. The Museum is open daily from 10:00 am to 4:00 pm. Summer hours take effect on June 1, when the Museum is open Tuesday through Sunday, 9:00 am to 3:00 pm. Now in its 36th year of operation as the premiere aviation attraction in the Phoenix Metropolitan Area, the Aviation Museum is operated by Airbase Arizona. Organized in 1978 as the Arizona chapter of the Commemorative Air Force, the mission of Airbase Arizona is to restore and preserve historically important aircraft and related memorabilia in order to educate the public about the significant contributions made by men and women in the defense of the Nation. Airbase Arizona is home base to a unique collection of over twenty historic warbirds, including the famed, fully restored “Sentimental Journey”, one of the few remaining World War II-era B-17 Flying Fortress bombers still flying today, and “Maid in the Shade”, a veteran B-25 Mitchell bomber that saw action in the Mediterranean Theater of Operations in World War II. WarbirdsNews has adapted this article from a CAF press release, and wishes to extend our thanks to them for allowing us the privilege. John: Do you trust having ole Buzz in your ship? Understand you two are off to WI for the big show. Have a great trip and enjoy all the planes that are of interest. Keep Buzz out of trouble.